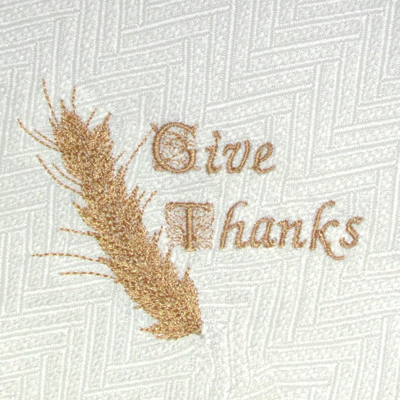 A beautiful tonal design of richly detailed wheat stalks with a simple message of thankfulness. This tone on tone design is equally beautiful when stitched in one color. The color stop allows you the choice to stitch it your way . 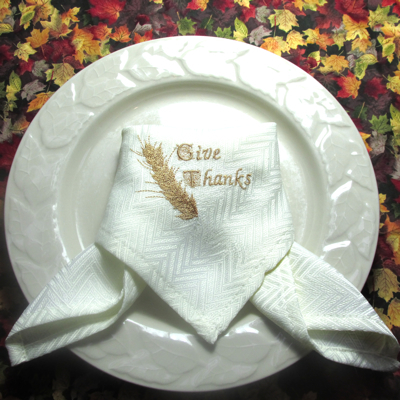 Simple & elegant, a wonderful choice to grace your Thanksgiving linens. Wonderful on napkins & tablecloths ~ perfect for runners or as an accent on your holiday projects.